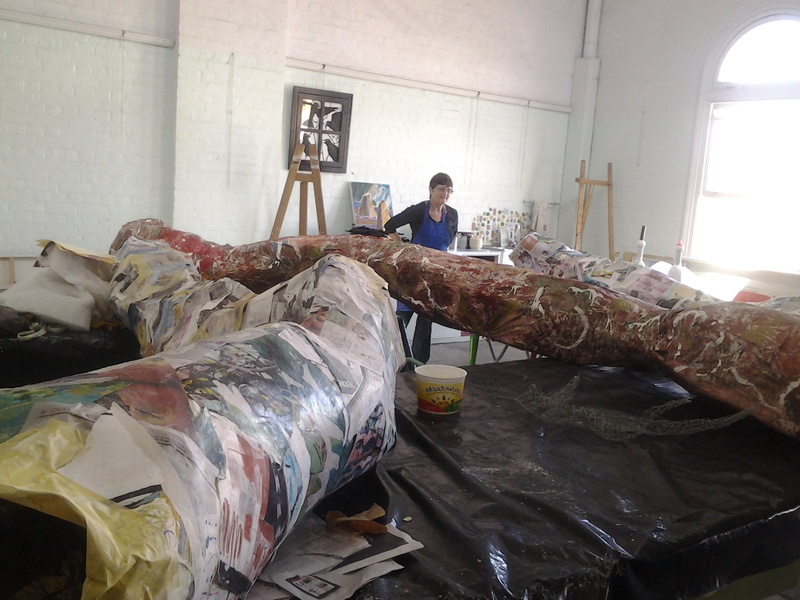 Returning to Rockhampton, I find the art group that I belong to, The Central Queensland Contemporary Artists, who are tenants of Walter Reid Cultural Centre in Rockhampton (CQCA) in a flurry of creativity. The Articulate Regional Arts & Culture Conference will be on in last weeks of August and all art tenants are collaborating to make a ’tree of life’ which will extend through the three floors. CQCA are on the top floor and have the upper branches. 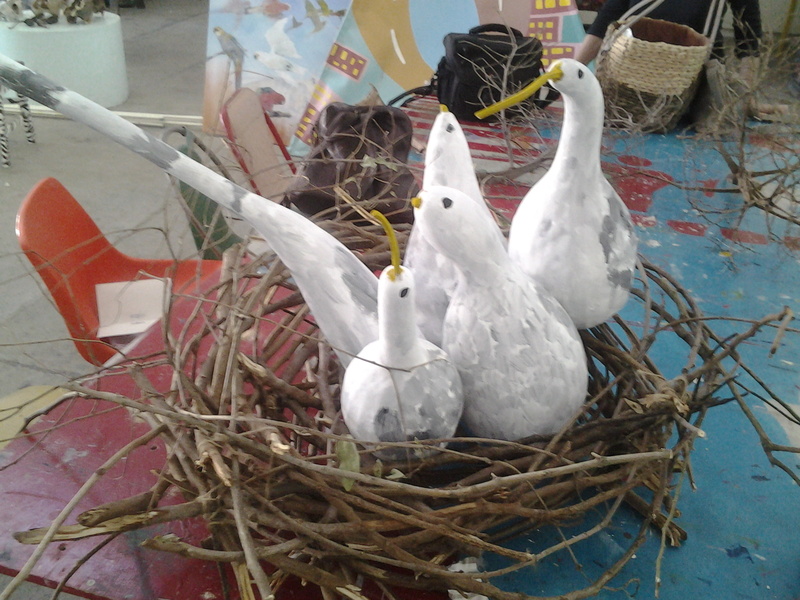 They are contributing to the installation with the making of birds, bats, bees’ nests and leaves, all from recycled items. Hence the room is a sea of plastic bottles, boxes, papers and all manner of things. I have thrown myself into the project, while also organising an exhibition for CQCA in September so no time to slow down. Will keep you posted on the finished installation. Creating a tree root from recycled materials.